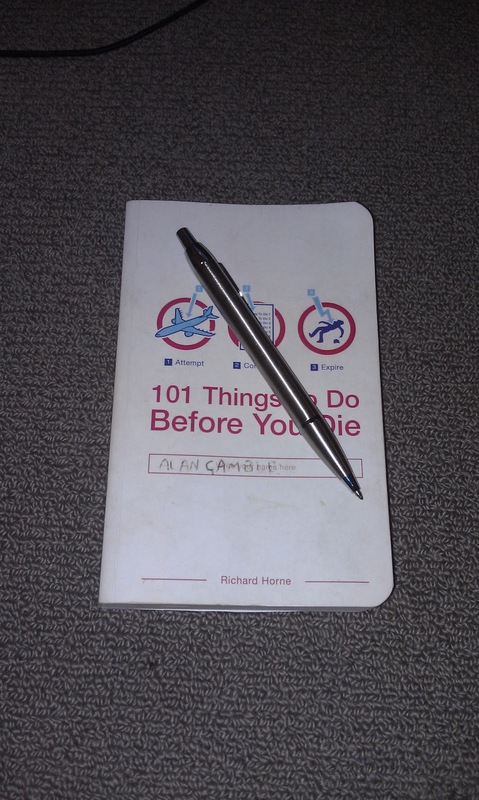 Welcome to the blog component of my lifelong bucket list, the book entitled "101 Things To Do Before You Die" by Richard Horne. 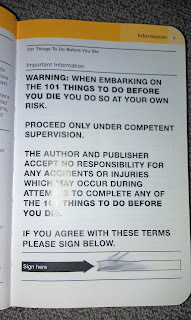 When I first saw thing book it seemed like a lot of fun. A ton of things to do, some that I really want to do and others that will take me miles outside my comfort zone. 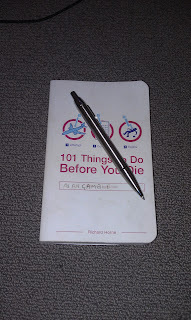 Now I've had this book for a couple of years and I decided to make something a bit more formal to keep track of my adventures. A place that I can add a bit more detail and some photos if there are any. Upon launching this blog I've completed 8 out of 102 challenges listed. 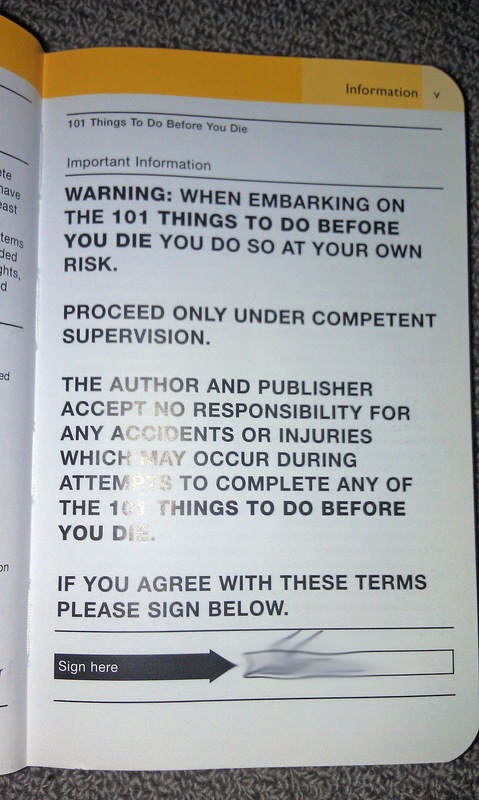 Ah the 102 not 101, allow me to explain one of the last pages in the book is a blank "Make your own page" which I've done and be found as number 102 on the list. I have really really loved having this book in my possession and attempting to complete it has given me some amazing life experiences so far. I recommend this book to anyone that feels up for the challenge or maybe needs that little shove to get outside there comfort zone. You can check out the books here. Lastly there will be an initial few posts as I update the things I've already completed before going on to update it as I complete more in the future or any other relevant posts to the list.